Teresa Magnus is the Principal of Magnus & Company, a construction industry advisory firm committed to transforming industry performance. She drives innovation through challenging conventional business models with unique perspectives, revolutionary thinking, creative solutions, and intelligent execution. Teresa is a highly sought after industry expert that is at home both in the boardroom and the field. Teresa’s experience includes the successful planning and management of major construction programs; workforce and labor strategy development and implementation; and the early recognition, prevention, and resolution of complex construction claims. Teresa served as both the Manager of Project Services and the Construction Contract Strategy Manager in two stints for Southern Company. At Southern Company, she led the redevelopment and implementation of Project Controls and Project Management Office (PMO) responsible for over $10 billion in capital projects; completed the planning and execution of the contract strategy for the $16 billion in environmental scrubber and new generation capital construction programs; and was instrumental to the successful negotiation of the $17 billion Vogtle Units 3 & 4 engineering, procurement, and construction contracts. Between stints at Southern Company, Teresa served as CEO of Vulcan Industrial Contractors, a Birmingham based union industrial contractor working throughout the southeast. Under her leadership, the company expanded territory, service offerings, transformed safety performance, and developed key strategic alliances, all while improving EBITDA. Her leadership positioned the firm as a go-to resource for industrial owners seeking superior construction execution. Teresa initially developed her skills and industry expertise as a global consultant with both Price Waterhouse and Arthur Andersen in dispute resolution on large, complex construction disputes among engineers, contractors, subcontractors, and owners. Teresa’s community involvement focuses on education, inclusion, and construction industry advancement. She served on the Advisory Board Member for the Shelby County Schools Technical Education Program, the Shelby County Chamber of Commerce Workforce Development Committee, the Advisory Board of the Alabama Go Build Initiative, and the Georgia Governor’s Workforce Development Committee. Teresa’s workforce development efforts also include her service as a committee member for local bargaining organizations for multiple crafts and a pension fund trustee. She founded and currently chairs the Alabama “Girls Can” Camps. Teresa earned the 2010 Crystal Vision Award for promoting the inclusion of women in the construction industry, and has been recognized by the Birmingham Business Journal and Southeast Construction magazine for her industry leadership. Teresa earned a Bachelor of Science in Accountancy from Miami University in Oxford, Ohio and is a CPA licensed in Ohio. 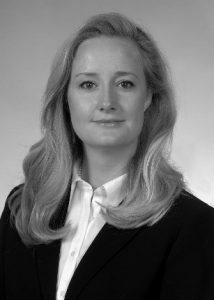 She holds a Doctor of Jurisprudence from Samford University Cumberland School of Law and is admitted to the Georgia Bar. She is a member of the Construction Users Roundtable (CURT), the American Bar Association (ABA), and the American Institute of Certified Public Accountants (AICPA).